For 28 New Mexico high school seniors, continued education to pursue associate and bachelor’s degrees became a little easier – financially at least. 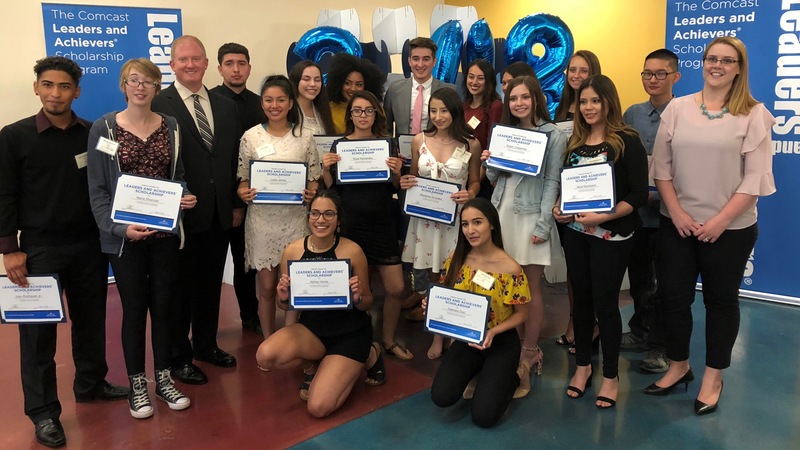 Comcast recently awarded $37,000 in scholarships for the 2018-2019 school year to 28 New Mexico students as part of its annual Leaders and Achievers Scholarship Program. The program, funded by the Comcast Foundation, recognizes the best and brightest high school seniors for their community service, academic performance and leadership skills. All 28 recipients each received $1,000 scholarships to put toward their education at the school of their choice, with Isaiah receiving an additional $9,000 for the Comcast Founders Scholarship. Students are attending colleges and universities all over the country – from Troy, New York to Portland, Oregon. 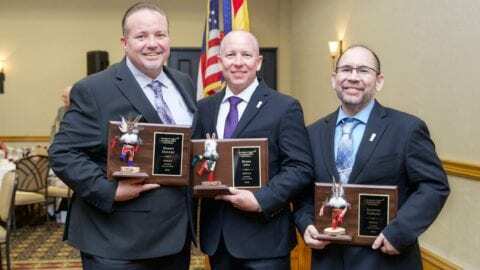 The students were recognized during the annual Albuquerque Hispano Chamber of Commerce Education Excellence Scholarships Banquet on May 2, where we connected with the students and learned more about their future goals and what leadership means to them. Juan Rodriguez (pictured above), a student at Public Academy of Performing Arts in Albuquerque, commented, “Being a leader to me means having a positive influence within your community.” Juan plans to seek an Associate of Applied Sciences degree from Central New Mexico Community College. Iyanah Fuller (on the left) spoke to us about her grandmother – a leader who inspires her. Iyanah stated, “My grandmother is very involved with the African American community and started me on my service path to make our world a more peaceful place.” Iyanah plans to study Political Science at Lewis & Clark College. All of the scholarship recipients are some of the best and brightest in New Mexico – leading in the classroom and in the community. We can’t wait to see what the great things they’ll accomplish in the future! This year, the program will award more than $2 million in scholarships to more than 2,000 students across the country to help them pursue higher education. Visit here to learn more about the Leaders and Achievers Scholarship Program.